Flashback to the last playoff Series the Red Sox won. The year was 2008. We were defending World Series champions, and facing the California , I mean Anaheim, I mean Los Angeles Anaheim Angels of Anaheim which is near Los Angeles in California Angels or whatever they call themselves. In the bottom of the 9th inning in a series clinching game which was tied, we had Canadian Jason Bay on second base, and Jed Lowrie at bat with 2 outs. He hit a ground ball that went between 1st and 2nd and drove in Jason Bay (he's Canadian, eh) with the Series winning run. This was a nice moment for the young 24 year old. It was his first year in the majors where he had hit a mediocre .258 with little power, and played a passable shortstop and decent third base in the 69 games he started. But he was never going to be confused for Ted Williams at the plate, or an in their prime Nomar or Lowell defensively on the left side of the infield. After an injury plagued 2009 season in which he only batted .147 and a 2010 season that only started in late July after a bout with mononucleosis, nobody would blame you if you thought that the playoff series walk-off hit would be the highlight of his career. He looked like he was this generation's version of Tim Naehring and many thought he would never fulfill the promise already shown by Clay Buchholz and Jacoby Ellsbury who were other 2005 1st round picks of the Sox. But NEVER underestimate the power of the young Jedi. In the first few weeks of the season, he has already forced Tito's hand into giving him a starting role. Put your hands up if you thought he and not Ortiz, Youkilis, Pedroia, Gonzalez, or Crawford would be leading the team in RBIs. There's a word to describe those of you with your hands up -- LIARS! He has only started 9 of the team's 18 games so far but has managed to knock in 12 runs already, only 4 behind the league leader. I haven't looked it up because game winning RBIs are no longer tracked as an official stat (but ballhogger.org is keeping an unofficial tally), but it feels like every game the Sox won, it's been because of Jed. Whereas people were talking about him like he was just keeping the position warm until Jose Iglesias came up to the bigs, he looks like he's here to stay. 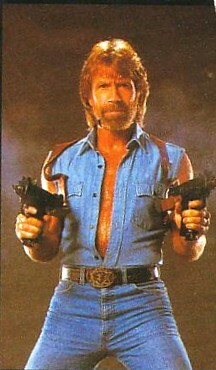 Chuck Norris - step aside. A new legend has dethroned you. The Legend of Jed Lowrie. And of course, the whole purpose of this article was to point out that Jason Bay (have I mentioned he's Canadian yet?) scored the winning run the last time the Red Sox won a playoff series. Get a Canadian on the roster already. I hear George Kottaras is looking for work, and our catching situation could use some improvement.